Dakhil had the most liked content! I don't know what to believe in terms of the Nintendo Switch revision rumours all over the place. Just wait for the official statements, and have fun with the speculation. I would say the releases to the official news sources are the most likely accurate, as they're consistent and have been repeated with further "data releases." They feel like official "leaks" which is something Nintendo loves to do to generate early buzz when they're prepping for a real release, then watch responses and social media buzz based on those releases to see how to market. They've been doing this since the DS, though screwed up majorly with the Wii U and 3DS, likely due to the health issues of Iwata and the transition issues after his death (it's hard for a company to adjust when there's no consistent direction based on leadership still establishing itself). I think so, too, which is probably why Square Enix mentioned that changes would be made when bringing a Nintendo 3DS exclusive quest (where you visit previous Dragon Quest universes) to Dragon Quest XI S.
Fortunately, that quest is confirmed to be coming to Dragon Quest XI S, but not without changes. I'm let down as well. 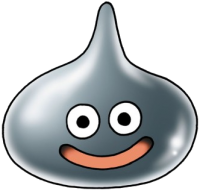 But I have some hope that the Yocchi content that was exclusive to the Nintendo 3DS version will makes its way to Dragon Quest XI S, and maybe we'll learn more about the Yoochi. Having all of the quests available from the get-go without having to download DLC. So Square Enix accidently revealed Octopath Traveler is coming to PC via Steam and the Square Enix Store on 7 June 2019. So, there's still hope Square Enix might bring some (if not all of) the exclusive features of Dragon Quest XI S to at least the PC version of Dragon Quest XI as payable DLC around one year after the release of Dragon Quest XI S. Whilst I believe that if Square Enix's going to bring some (if not all of) the exclusive features of Dragon Quest XI S to the PC version as payable DLC that Square Enix should do the same for the PlayStation 4 version, it's possible Square Enix's going to bring some (if not all of) the exclusive features of Dragon Quest XI S to only the PC version since PCs are not considered consoles. Which is why I said I have hope Dragon Quest XI S will sell well since Nintendo's handling the marketing and publishing of Dragon Quest XI S outside of Japan. And Nintendo also handled the marketing and publishing of Dragon Quest IX, which is why Dragon Quest XI has around 1.02 million sales in North America and Europe. You go to "Settings", then "Signature", and there's a toggle button to turn off the signature. I agree. I have no qualms against Michi and the Dragon Quest team since she and the rest of the team did the best they can with the budget they got from Square Enix (I'm talking about Square Enix in Japan, not in the U.S.), but I feel like Square Enix didn't really market Dragon Quest XI that much. Maybe it's because I intentionally avoid looking for Dragon Quest XI news before it got released, so I can stay away from spoilers. But I think it's a good indicator of how little Square Enix marketed Dragon Quest XI, because I feel like people who haven't heard of the Dragon Quest series nor have they actively search for news about the Dragon Quest series aren't going to know much about Dragon Quest XI since I've barely seen any Dragon Quest XI advertising nor any mention of Dragon Quest XI on the internet before its release (I think I remember only seeing an advertisement of Dragon Quest XI on Reddit, at least for me personally). With that being said, I have hope that Dragon Quest XI S will sell well, because from what I've seen so far, Nintendo's been doing a very good job at marketing Dragon Quest XI S. And it was thanks to Nintendo that Dragon Quest IX sold around 1.02 million copies in North America and Europe (which is why Square Enix entrusted Nintendo to market and publish Dragon Quest titles coming to Nintendo consoles) and Octopath Traveler selling around 1.5 million copies worldwide. So I'm cautiously excited about Dragon Quest XI S sales. I meant to say pay Square Enix to do the localisation. Bad wording on my part. So Square Enix is responsible for the localisation whilst Nintendo's responsible for the marketing and the publishing. Does that sound correct? Correct me if I'm wrong, but I believe Nintendo's handling the publishing of Dragon Quest XI S outside Japan and is paying Square Enix for the localisation?